Coinstar getting kudos for its latest earnings report but will it last? 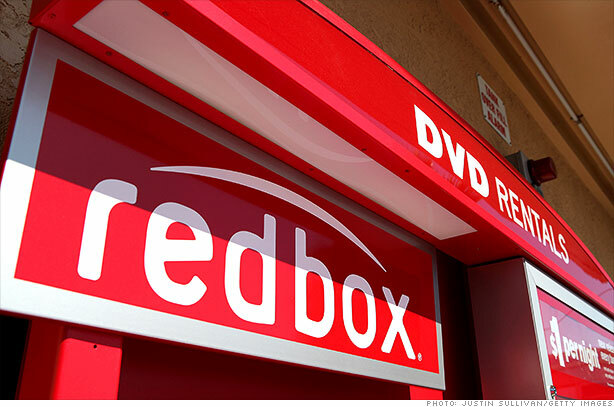 Revenue fell short of forecasts and Coinstar's operating margin declined,but Redbox gained market share and its revenue rose 1% as the company added new kiosks. It may be finally getting ready to give Netflix (NFLX) a real run for its money. Shares of Coinstar spiked 8% Friday and are up more than 11% this year. Netflix still has a commanding lead (its stock has more than doubled this year), but StockTwits traders were giving Coinstar props for its progress. Ahhh, that brings back such fond memories of Monty Python ("I'm not dead yet!"). But in all seriousness, it does appear, at least on the surface, that Coinstar is headed in the right direction. Of course, analysts aren't all in agreement. Pacific Crest analyst Andy Hargreaves points out that Coinstar's rental nights per kiosk tumbled 18%, versus a year ago. He also doesn't buy the company's outlook, saying it's based on an increase in volume that he doesn't see coming. Eek. Does anyone even rent from Blockbuster anymore? The video chain was bought out from bankruptcy in 2010 by Dish Networks (DISH), which has been shutting down stores and cutting jobs. Blockbuster's demise began back in 2004, when it was spun off from Viacom and wound up saddled with $1 billion of debt. Right. So back to Coinstar. It seems like the bias is definitely to the downside here. Pacific Coast's Hargreaves seems to agree with ocman. "We do not recommend owning CSTR ... until we gain confidence in the potential for stabilization," he said in Friday's research note. But for every naysayer, there's a Pollyana.